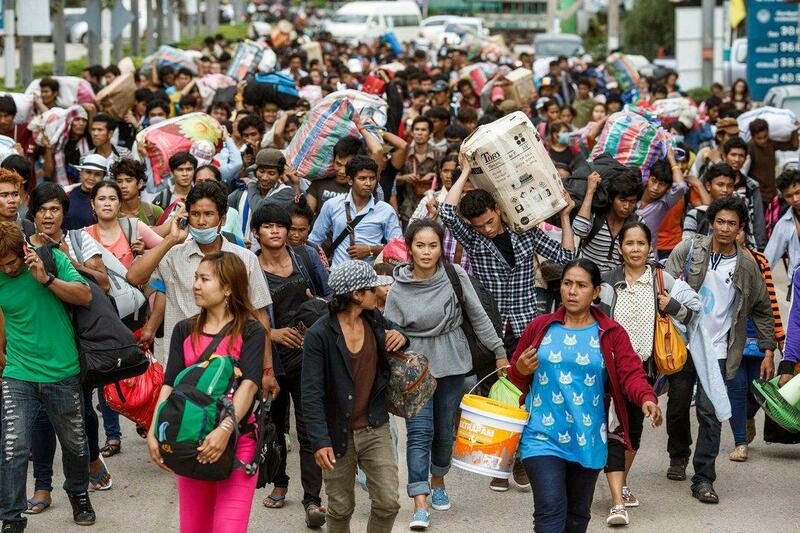 YANGON, March 28 (Xinhua) -- Sixty more illegal Myanmar migrant workers have been repatriated to the homeland under the arrangement of Thai and Myanmar authorities, according to the Ministry of Labor, Immigration and Population on Thursday. With their visas expired, the illegal Myanmar migrant workers, including seven women, were sent back to Myanmar by Thailand's Ranong Immigration Department on Tuesday via Kawthoung border gate in Kayin state after being imposed some penalties and taken action under Thai laws. According to the ministry, 428 illegal Myanmar migrants including 146 female and 19 children were handed over by Thailand to Myanmar between Jan.1 and March 11. Most of the migrant workers are from Tanintharyi, Yangon, Bago and Ayayawaddy regions and Mon and Rakhine states. Myanmar migrant workers constitute the largest part of Thailand's migrant population. Most of them work in fishing, construction, garment and domestic service industries.